Greetings to all the photographers and editors, welcome to our buying guide of best laptops for photo editing in 2019. Don’t we all spend hours staring at serene pictures while deciding which next wallpaper to choose from? It becomes a tough call with such magnificent contenders vying for our attention. Clicking the photograph from the best possible angle deserves innumerable accolades. But adding those magical touches to a picture for making it more life-like also has its share of contribution in the overall photo beautification process. Photo editing can be a highly engaging activity when we have the wings of a suitable laptop to fly on. But with time and numerous advancements in the field of technology, software programs used in the photo editing process have undergone considerable change. Coupled with widespread development, ongoing need has been felt for ample hardware support to ensure smooth sailing operation. The newest photo editing programs come with a bevy of features like high precision edits, loading of high-definition files and photo manipulation on a large scale. But for using such features to the fullest one needs to have a laptop which can handle the same. 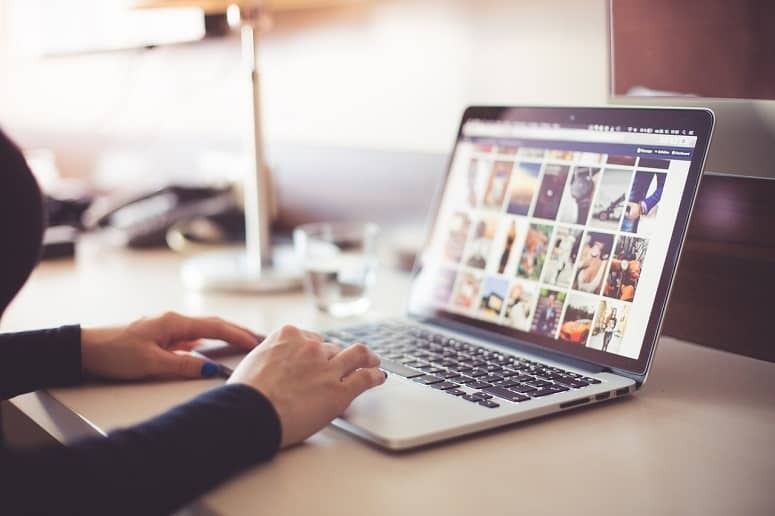 Having a laptop can be of great help as in such cases photographers don’t need to wait till coming back home to start with their editing project. Best quality work demands colour accurate and high resolution display along with a super-fast processor. However travelling with a bulky photo gear calls for lightweight laptops having strong battery life. At the same time storing innumerable high resolution pictures pave the requirement for a large spaced hard drive. Best ones are those having 1TB of storage space. However for the economical buyers who don’t want to splurge out so much you all can bank upon cloud storage service and save money for buying an external storage drive in days to come. In our todays article we have listed some of the best laptops for photo editing which work in smooth sync with high end software’s like Corel PaintShop, Adobe Photoshop and much more. Good screen resolution is the pre requisite for photo editing. Laptops having resolution below 1920x1080 mark fail to get into this category. Minimum Intel Core i5 processor and 8GB RAM is required for guaranteeing end-to-end photo editing experience. Most of the newest offerings come well equipped with state-of-art functionalities but it is not mandatory to spend a fortune behind obtaining the same. Mid-range products can suffice amateurs quite well but for intricate professional tasks you need to bank upon the top range ones. The 15 inch ZenBook Pro features an all-aluminium chassis with polished edges and the trademark concentric ring finish on its metallic grey coloured lid. Once you open the lid, a brushed metal deck welcomes you as a plush palm rest. At 5 pounds, the ZenBook is slightly bulkier than its contemporaries. Its long stroke keyboard comes with a travel distance of 2.1 mm ensuring a comfortable typing experience. Its 4x2.75 inch touchpad having silver matte finish blends perfectly with the metal deck. It responds quickly and accurately to multitouch and clicking gestures like pinch-to-zoom and scrolling. The 15.6 inch Ultra HD screen with a resolution of 3840x2160 works like a dream for video and photo editors. The machine runs for a solid 8 hours before running out of juice. ZenBook Pro features the super fast USB-C connectivity supporting Thunderbolt 3 in addition to its regular USB 3.0 ports, HDMI 2.0 slot, SD card reader, and headphone microphone jack combo. Even after opening fifteen tabs simultaneously one can function without any performance downtime thanks to its 16GB RAM, Intel Core i7-6700HQ processor and 512GB SSD. The touchscreen feature of ZenBook Pro supports smart gesture navigation through ten points of touch control making it among the best laptops for photo editing. With name it and you get it features under a reasonably priced umbrella, the Dell Inspiron model is one tough deal to pass on. If external beauty matters the most then you surely won’t be disappointed with its pleasing design featuring black body and having red accents and logo. The plastic body having a soft finish keeps its appearance simple yet stylish. Weighing at 5.7 pounds, the Dell Inspiron is relatively light for a gaming laptop. Its 15.6 inch screen having anti-glare coating IPS display and Full-HD resolution of 1920x1080 promises excellent graphics. Video chat on the go becomes a easy to try-out option with its Waves Maxx Audio Pro speakers and 1280x720 webcam. The backlit keyboard emitting white light comes as a refreshment from the patent red light of similar gaming laptops. Superior quality key with less travel time and smooth touchpad enhance the typing and navigation experience. With one HDMI port and three USB 3.0 ports, the Dell offering scores high on connectivity. RJ-45 port establishes wired connectivity whereas Bluetooth 4.2 adapter and 802.11 ac dual band Wi-Fi looks after the wireless connectivity portal. Additional storage in the form of 1TB 5400 RPM hard drive helps in managing files and downloads. The Ultra-slim Asus ZenBook featuring an attractive chassis and silver aluminium lid having a concentric circle pattern scores high on the premium feel and of course is one of the best laptops for photo editing in 2019. At 2.68 pounds, the ZenBook is one of the slimmest 13 inch laptop available in the market. Its 1920x1080 pixel resolution screen promises vibrant colour and sharp display. Fine detailing and wide viewing angles also enrich the viewing experience as a whole. Its Harman Kardon speakers never fail to deliver accurate audio having good sound separation but becomes a bit distorted at highest volume playback of guitars and drums. The sound emitted is strong enough to fill up a small to mid-sized room. It’s well spaced keys having a vertical travel time of 1.5mm ensures comfortable typing. The button less touchpad of 4.1x2.9 inch dimension helps in accurate navigation and smooth gesture recognition. The finger print sensor in the upper right corner of the touchpad helps in one tap login using Windows Hello. Unlike other super slim laptops, the ZenBook UX330UA comes with ample ports under one roof. It left side is equipped with one 3.5mm audio jack, USB 3.0 port and a SD card reader whereas the right side holds proprietary power port, micro-HDMI out port, USB 3.0 port and USB Type-C port which cannot be used in laptop charging. 8GB RAM, Intel Core i5-7200U processor and 256GB SSD manages efficient multitasking whether you are a gaming buff or a photo editing fanatic. Weighing at 4.9 pounds, the Apple MacBook Pro combines power and premium feel under a solid build up. Powered up with a dual-core 2.3 GHz Intel Core processor, the laptop impresses its users with maximum burst speed of 3.6 GHz whereas its 8GB RAM ensures multitasking and easy accessibility of frequently used programs and files. The 13.3 inch IPS Retina display comes with maximum resolution of 2560x1600 pixels. Its LED backlighting having 500 nits of maximum brightness and supporting P3 wide colour gamut delivers sharp and crystal clear picture. 256GB PCIe SSD assists in long term file storage with sequential write speed of up to 2.1 GB/s and sequential read speed of up to 3.1 GB/s. Bluetooth 4.2 technology fosters connectivity with additional compatible peripherals and built in 802.11ac dual-band Wi-Fi helps in wireless networking. The MacBook's 54.5 Wh polymer battery powered by lithium-ion offers around 30 days of standby time and can function for whole 10 hours before running out of juice whether you are surfing the web or using iTunes movie playback feature. The keyboard introduces second generation butterfly mechanism which ensures greater responsiveness and comfort. The considerably larger Force Touch trackpad provides greater space to fingers. The Mac OS X operating system has an amazing collection of applications and has a better reputation for security than competing operating systems. Its jet black chassis stands out in bright contrast with the orange and silver lining which can be seen in high end models. Rigid hinges and strong base adds up to its build quality. Although it misses out on the USB Type-C port much to the disappointment of avid gamers but with other easy to reach ports divided uniformly in both its sides, the Asus laptop scores decently in the connectivity frontier. Left side comes with HDMI port, AC adapter, USB 3.0 port, mDP and Gigabit RJ-45 whereas the right side is well stocked with two USB 3.0 ports, Kensington lock, 3.5mm audio jack and SD reader. Rear end does not house any port due to its surplus of ventilation grilles and proximity with heat pipes. The backlit chiclet styled keyboard having a travel time of 1.6mm offers quiet and comfortable typing. The reasonably sized touchpad is equally responsive around its edges as it is in the centre. Although the matte surface has a tendency of quick grease accumulation, smooth glide manages to please the users. The sharp images and texts and even backlight bleeding cannot manage to hide its grainy display and major shifts in grayscale. The latest hardware boosts up the performance three times in comparison to GTX 9 series paving the path for multitasking like video editing and live streaming. The trademark grey magnesium built up and shiny Windows logo at the back establishes the Microsoft bandwagon of this latest player in the circuit. Ditching the kickstand of the Surface Pro 4, the Surface Book gifts its users with a super cool detachable keyboard dock. The keyboard houses an optional secondary NVIDIA GeForce GPU which activates only when the tablet section gets docked in the keyboard. Tablet section of the Surface Book makes use of the less power consuming Intel HD graphics when undocked. The primary battery and lion’s share of ports are also embedded in its dock. Considering its tiny dimensions, the Surface book is exceptionally well stocked in terms of ports and is surely the best laptop for photo editing. An SD card reader, two USB 3.0 ports, proprietary charging socket, headphone jack and Mini DisplayPort are located at its sides. The backlit keyboard of Surface Book improves typing experience significantly thanks to its spacing and travel time. Its intelligent hinge also adjusts the weight balance of the Surface Book and keeps the top from becoming too heavy in spite of its screen angle. Such features makes it stand out as one of the most lap friendly convertibles available in the market. The glass finished trackpad feels more sensitive than its predecessors. The 13.3 inch PixelSense screen provides brilliant 3000x2000 resolution without any backlight bleed. The brand new Surface Pro pumps in the platinum hued magnesium alloy exterior and shiny Windows logo at its kickstand’s back in line with its stylish predecessors. Port selection does not feature any considerable change in this model with mini DisplayPort, USB 3.0 slot, connector port for docking and power and headset port embedded in its sides. Although it does not have the much in demand Thunderbolt 3 and USB-C connectivity we can hope for the next versions to overcome this shortcoming. This round edged detachable laptop weighs only 1.72 pounds making it a top pick amongst those who are constantly on the move. The 12.3 inch PixelSense Display having a maximum resolution of 2736x1824 promises bright and accurate colour portrayal on screen. Its IR camera helps in Windows Hello facial recognition log in and 8mp arear facing camera helps in capturing everyday memories. Its pop up kickstand is a significant improvement in this new Microsoft offering opening up to 165 degrees. The keys having a travel time of 1.5mm ensure comfortable typing experience even when the session goes on for hours. Running on seventh generation Intel Core i5, i7 and m3 processors the Microsoft candidate promises revamped performance and running time of approximately 10.5 hours which is 68% more in comparison to Surface Pro 3. The latest addition to the IdeaPad family built on the super-fast NVMe standard offers one of the most pocket friendly multimedia solution amongst its peers. Apart from the decent hardware support and cool features, the laptop offers an easy on the eye black design which is refreshing to the core. Weighing 5.1 pounds, this laptop cannot be given the typical portable tag but 2.6 GHz Intel Core i7 processor, NVIDIA GeForce GTX 950m can support high end graphical intensive games which its contemporaries fail to run. Its left side is equipped with one USB 2.0 port, DC charging port, 3.5 mm audio jack and SD card reader whereas the right side holds one HDMI port, two USB 3.0 ports and one LAN port. Its AccuType keyboard with adjustable LED backlight helps working in dim environments. Short key travel time also establishes a pleasant typing experience whereas the trackpad features accurate gesture control ensuring overall smooth experience. Its 15.5 Full HD screen having a resolution of 1920x1080 offers rich graphical experience to its users in the form of bright and clear icons and easy to read web pages. The top facing speakers churn out decent music but its Dolby tuning function works like a dream when used with a headset. Its 720p webcam produces clear enough pictures for a normal video chat. Battery life is not one of its strongest points but by bringing down the brightness level a few extra minutes can be eked out of the system. If you're looking for something budget friendly yet powerful then this is a great laptop for photo editors. This best laptop for photo editing comes with a sleek and glossy finish locks in the attention of its users with less bezel, more screen space and marvellous wide angle display. Its dark grey exterior matched with matte black interior offers an attractive yet professional look to this sublime beauty. The 360 degree hinge allows users to use this Dell model in laptop mode for emailing or typing work, tablet mode for rich reading experience, stand mode for watching movies on the go and tent mode for real time viewing of recipes. The hardy hinges feel strong even after adjusting the lid positioning for more than 20000 times. The backlit keyboard makes working in dim environment a hassle free experience and infrared camera working in sync with Windows Hello helps in easy logging in through secure and quick facial recognition. This highly portable laptop can be easily slipped into one’s travel bag and can be used for hours without causing any eye fatigue. Equipped with powerful 802.11ac WiFi long range wireless connection gets a new shape providing super-fast connectivity with minimal buffering. The Full HD display of this 13.3 inch laptop having wide viewing angles ensures optimal quality graphical experience. Built-in stereo speakers powered by Waves MaxxAudio Technology promises top notch audio quality. Storage of 1 TB 5400 RPM, 8 GB of DDR4-2400 RAM and Intel Core i5-7200U processor helps run demanding application without any performance downtime. Its full-fledged connectivity frontier features two USB 3.0 connectors, an Ethernet port, one Type-C USB 3.1 port accommodating up to 5 Gbps, one VGA out port and one HDMI with HDCP in the left side and one USB 2.0 port, DVD drive and one 3.5mm headphone jack in the right. Its front lip houses a SD card reader. Its 15.6 inch screen doesn’t fail to stun users with panoramic display having resolution of 1080p. The vibrant portrayal of colours and accurate saturation makes the on screen images come alive. In the audio frontier this Acer model scores pretty good with its TrueHarmony speakers having dual stereo and paper cone design for crystal clear sound reproduction. The crisp and clear bass, vocals and synth coming from the speakers located at the bottom of this laptop can fill any medium sized room. The built in microphone also manages to do a decent job in accurate sound reproduction. Approximately 11 hours of running time adds up to its list of pros. The backlit keyboard is perfect for people having shorter nails and its responsive touchpad fosters smooth and accurate navigation. Powered up with 8GB RAM, Intel Core i5-7200U processor and 256GB SSD ,this laptop performs brilliantly even with multiple operations running in the background. From numerous contenders it was a challenging task to pick out the top ten best laptops for photo editing. However specific features like multiple USB 3.0 ports, VGA output, choice of DisplayPort, backlit keyboards and battery life can considerably influence the optimal pick of photo editing buffs. Sometimes comparison becomes all the more difficult when manufacturers neglect to announce features like base CPU speed, maximum RAM capacity and drive RPM’s. We hope that the models described by us will serve your needs as you add that dash of colour here and contrast there to bring those pictures to life. Spread out over the recent releases in the technology spectrum, these laptops are most likely to suit all your photo editing whims and fantasies.